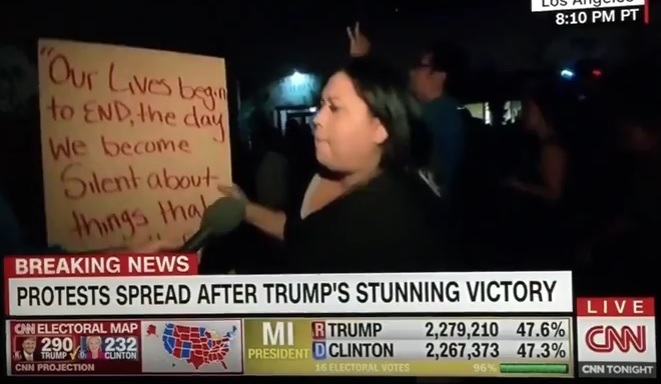 Leftists, Communists, Hillary Supporters, #BlackLivesMatter and illegal aliens marched in several US cities last night after Donald Trump won the 2016 election on Tuesday. 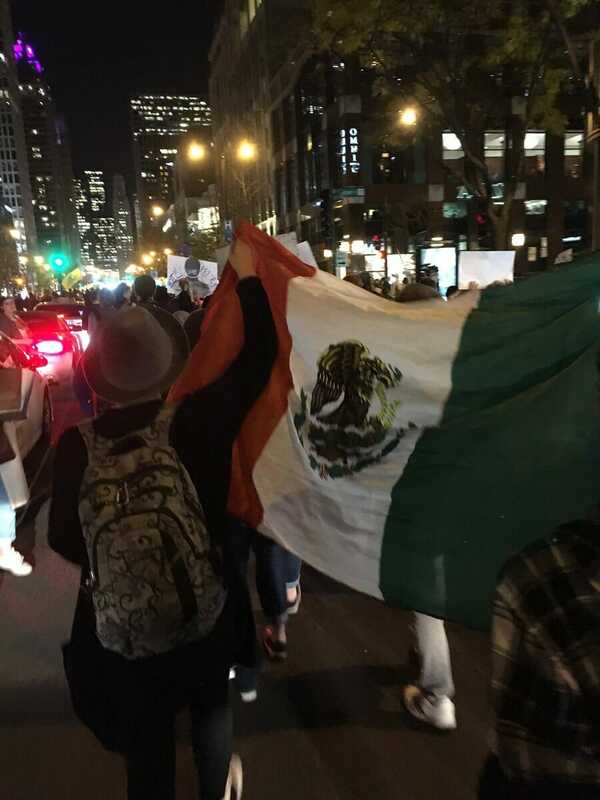 The protesters were carrying Mexican flags in Chicago. One Hillary supporter in California said people will die in the upcoming revolution against Trump. Will the corrupt media condemn Hillary and Obama for this violent rhetoric?